Of course, Knicks president Phil “Zen Master” Jackson may still trade the pick, and it’s reportedly “very available.” The pick could be swapped for multiple future assets if the Knicks plan to tank another year and wait for 2016 to splurge – Kevin Durant, among other big names, will be a free agent – but that seems unlikely, with Carmelo Anthony aging by the day and a bad taste in management’s mouth from their bad lottery luck. In all likelihood, Jackson will look to hand out multiple contracts in this summer’s free agency period to improve the team now. If he really wants to shoot the Knicks up the Eastern Conference standings immediately, trading this year’s pick in a package likely including Tim Hardaway Jr. and other assets could be a win-now move to acquire a big-name veteran. However, a move like that could actually end up hurting the Knicks in both the short- and long-term – of course, missing out on a top-four player 20 or younger doesn’t do good things for anyone’s future, and Tim Hardaway Jr., despite a regression last season, is still 23 and 6’6″ with good athleticism and great shooting range, adding up to relatively encouraging potential – the bigger issue could be how the size of the newly acquired veteran’s contract (compared to the rookie deal New York would be paying for the potential draft pick) would affect Jackson’s ability to pay out in this offseason’s free agency period. The choice could be between two big free agency deals, a high-potential rookie, and Hardaway, or one big free agency deal and the player acquired in the trade. For that reason, it looks like despite their falling in the draft order, trading their pick would probably be a bad move for New York. 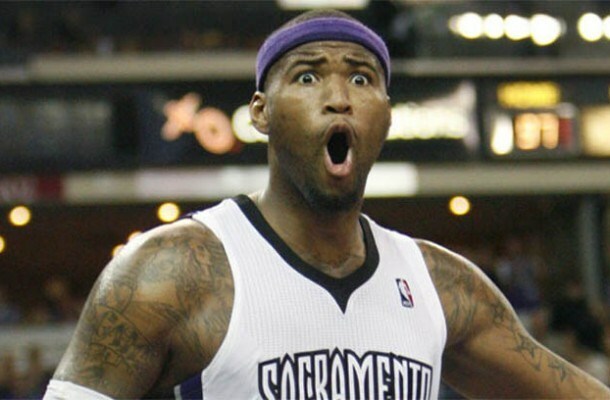 DeMarcus Cousins has been among the names for which trade rumors have swirled. If Jackson doesn’t overreact at Tuesday’s bad news and decides to keep the pick, New York could find themselves in pretty good shape despite their draft standing. Past the consensus 1 and 2, point guards D’Angelo Russell and Emmanuel Mudiay will both be on the board for Philadelphia to choose between before the Knicks get their shot. Russell was a star in his only year at Ohio State, averaging 19.3 points, 5.7 rebounds, 5 assists, and 1.6 steals in his 33.9 minutes per game, while shooting 41.1% from three. He can shoot from spot-up or off the dribble, and has excellent court vision and passing ability. The Knicks have needs at just about every position, and Russell would be able to contribute immediately. However, multiple reports have suggested it’s a foregone conclusion that the Sixers take him with the third pick. What would that mean for New York? It means the likeliest candidate to end up in orange and blue next season would be Emmanuel Mudiay, the draft’s biggest wild card (who said playing in the Mecca of basketball would be a “blessing“). He was the 5th-highest-rated recruit last year per ESPN’s top 100, higher than both Karl-Anthony Towns and Russell. However, instead of going to Southern Methodist University as he originally intended, Mudiay went overseas to play a year professionally in China. Many believe not playing on the American stage hurt his draft stock – and that could be good news for the Knicks if it causes him to fall to them. 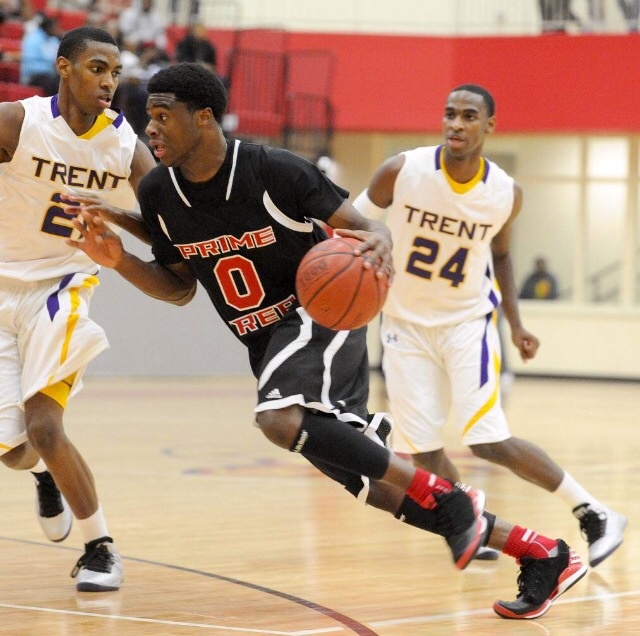 Mudiay dominated in high school before heading to China. Consider this: Brandon Jennings made a similar decision as the number one recruit out of high school his year, opting to play a season in Europe before entering the NBA. Jennings, who has been around league average at point guard most of his career (he was 12th among point guards in CornerThree WAR in his last full season; 52nd overall), and is still just 25 years old with room to grow, was pretty awful playing against professionals as a 19 year old. His Europe averages of 6.3 points, 2 assists, and 1.6 rebounds, on 38.1% field goal and 28.2% three point shooting, were underwhelming to say the least. And why not? Sure, college basketball is played on a bigger American stage, but aside from the top prospects, most of the players are skinny teenagers who will never see a professional court. Overseas, though, all of Jennings’ opponents were professionals, much more experienced and more developed, and many of whom were in their athletic primes. In China in a similar situation, though, Emmanuel Mudiay felt right at home. His averages of 18 points, 6.3 rebounds, 5.9 assists, and 1.6 steals not only blow Jennings’ numbers out of the water, but they’re debatably better than Russell’s, and against stiffer competition. In fact, Mudiay may have been the best player in the championship series of a professional basketball league last season when he was 18 years old. He falls in with the “new breed” of point guards – like Russell Westbrook and John Wall, he has supreme athleticism, is great at getting to the basket (as well as finishing once there, and he’s a great playmaker off penetration), and has the potential to cause havoc defensively. People may knock Mudiay’s decision to go overseas, but the only real knock on his game is his supposedly broken jumpshot. Is it even that much of a concern, though? He was very efficient last season, shooting 47.8% from the field and 34.2% from three – and unlike Russell, Mudiay was shooting threes from NBA range. 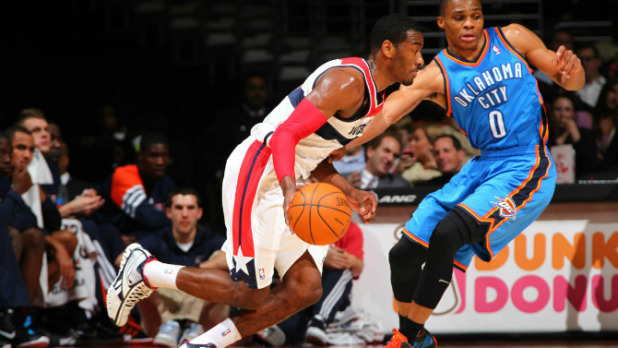 For comparison, Russell Westbrook shot 29.9% from three last season; John Wall 30%. 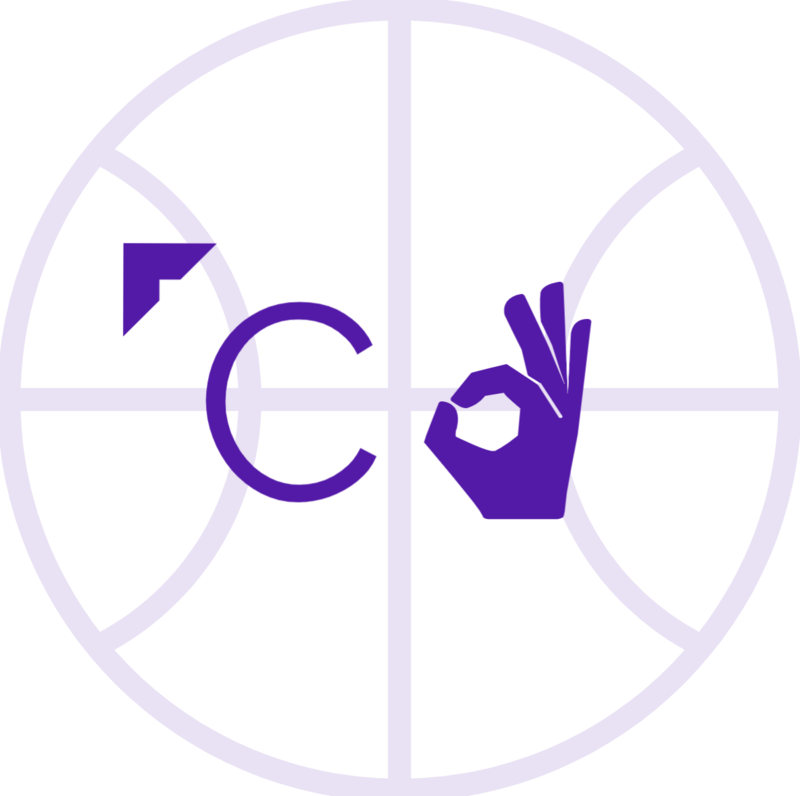 Once NBA coaches tweak his form, there’s no reason Mudiay can’t become an average to above-average marksman from deep – which he already might be for a point guard with his size and athleticism. Big, strong, and fast are the qualities many GMs are now looking for in their point guards. How would he fit in with the Knicks, though? Though many say he’s not a “triangle point guard,” Phil Jackson would be foolish to pass on what would be the best talent available at 4 assuming Towns, Okafor, and Russell are off the board. The NBA is becoming a pick-and-roll, drive-and-kick league, and those are Emmanuel Mudiay’s strengths. At 6’5″, he can slot right next to defending All-Rookie Second Team guard Langston Galloway and guard twos, while Galloway, currently the better shooter, spreads the floor off the ball on offense. And if you’re into history, the last three point guards chosen fourth overall were Chris Paul, Russell Westbrook, and Mike Conley – Not terrible company. Gasol has had trouble taking the next step with the Memphis Grizzlies. Aldridge rumors have been swirling ever since his team was dominated in the first round. Love hasn’t liked being a third option and is now sitting out of a possible title run – plus, NBA GMs reportedly believe he’s leaving Cleveland. Jordan reportedly has a rift with Chris Paul that might cause him to leave (and he “loves” New York). The Golden State Warriors may have trouble finding room to fit big contracts for Stephen Curry, Klay Thompson, Andrew Bogut, Andre Iguodala, and youngsters Harrison Barnes and Green all under their cap. Lopez is a good two-way player, but the emergence of Mason Plumlee could make him expendable for Brooklyn. Millsap has found a home on a top Eastern Conference team, but has been associated with the Knicks and coach Derek Fisher. Monroe might already have a “done deal” with New York. Al Jefferson’s Hornets were extremely underwhelming last season. Roy Hibbert is reportedly under pressure from Larry Bird to opt out and become a free agent. 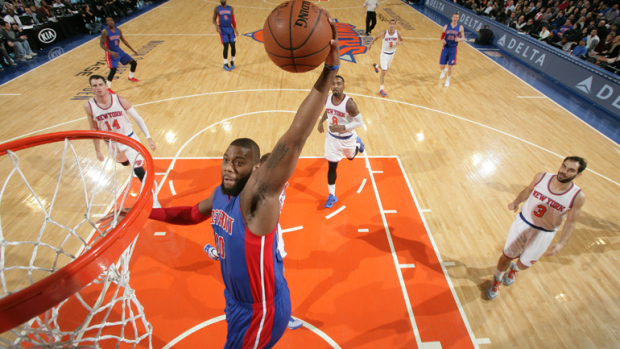 Greg Monroe could be dunking in the Garden a whole lot more often next season. If the Knicks can add Mudiay, a big-time big man, and another solid free agent role player like Tobias Harris, Danny Green, Wesley Matthews, or DeMarre Carroll to Carmelo Anthony and what could be a solid young bench, they could find themselves moving on up in their extremely weak conference. Poor luck in the lottery could be balanced out with good decisions (and maybe the Knicks deserve a little good luck) in the offseason to come. Next postWhy Are Kids Leaving Baseball?